Your trusted guide on the inner journey to meaningful work. 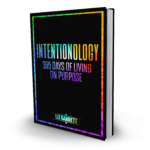 Liz Garrett is shifting lives with creative, reality-based programs that work on all levels–mind, body and spirit–for deep and lasting change. 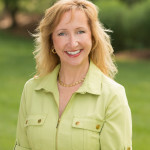 A successful business owner since 1998, and having worked collaboratively with execs for more than 20 years, she knows well the fire inside that either propels you to greatness, or consumes you in the effort. Success is not about smarts. You know plenty of smart people who are poor and/or unhappy. Since it doesn’t matter what you know but, rather, what you DO with what you know, Liz insists on practical application. Success boils down to what you do with your time, and her teaching boils down to what you can put on your planner. The result: actionable, measurable progress toward your goals. 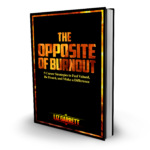 She offers fierce support and practical tools to beat burnout and enjoy a meaningful, sustainable, lucrative career. 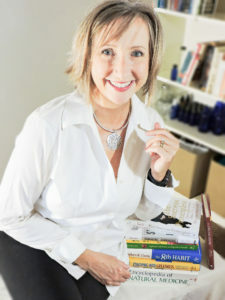 Her signature approach, “The Essential Advantage–Bringing the True You to LifeTM,” establishes that the best route to success and happiness is to tap into your personal strengths and passions. By including wellness basics, brain-training practices, and personal growth tools, these programs are, at once, practical and inspiring. Personal potential explodes when individuals see their work and life as a steady progression toward greater and greater fulfillment. Challenges are welcomed as opportunities to grow. Alignment within groups is easier when there is synergy of purpose. 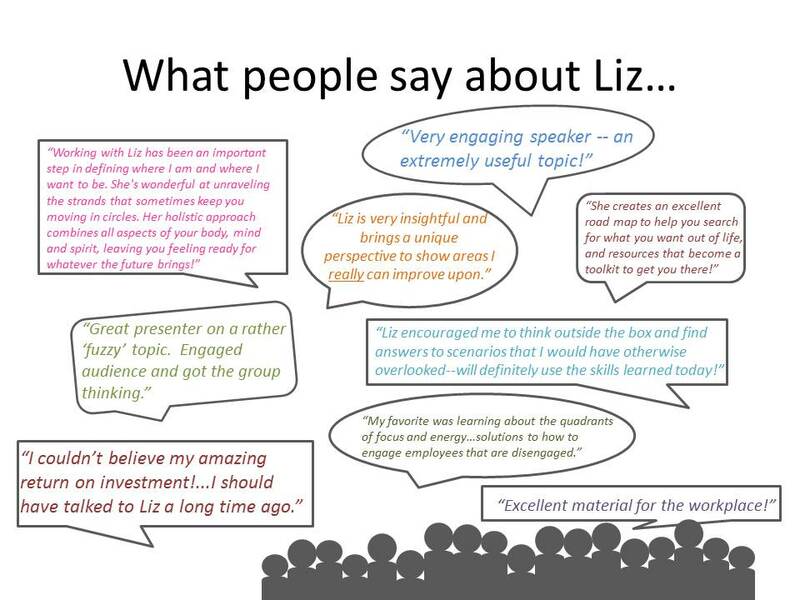 Click here to explore private coaching with Liz. 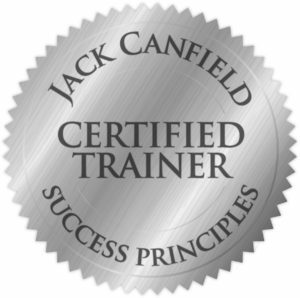 Liz Garrett, MA, Certified Health and Wellness Coach, and Jack Canfield Trainer, works one-on-one with professionals who are ready to get real about what’s holding them back! She also assists organizations engaged in real change by implementing systems-based, customized programs, incorporating individual coaching and workshops, to support the organization’s goals and desired outcomes. 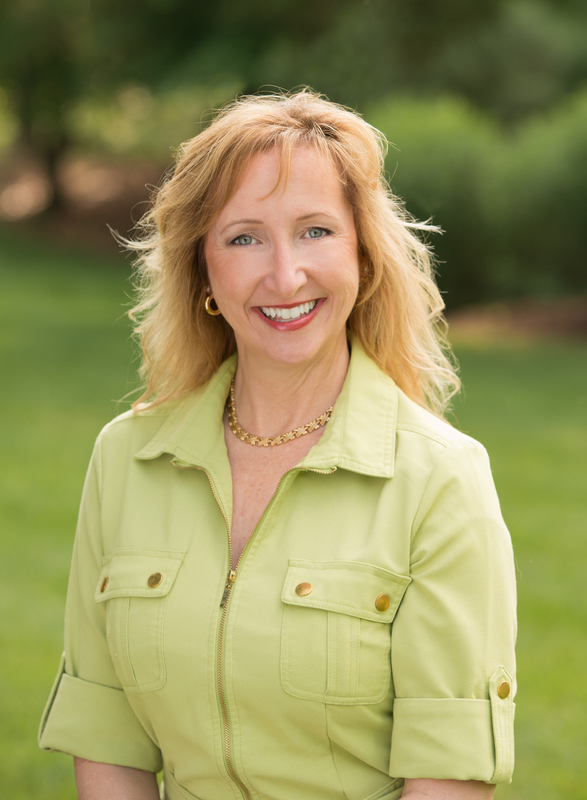 As a highly-rated speaker, she delivers thought-provoking, change-inducing presentations at workplace workshops, luncheons, seminars and conferences. In business since 1998. SWAM-certified. Click Here for Liz’s Resume. I'm a cheerleader and guide for True You--your dreams, your gifts, your voice. If you don't bring True You to life, who will? Click here to explore private resilience coaching with Liz.